India’s reduction of the quota allocations of staple foodstuff to the Maldives sparked fears of price hikes. The State Trading Organisation sought to assure the public Saturday that staple food prices will not soar after India drastically reduced quota allocations to the Maldives. In line with a 1981 bilateral trade deal, India annually fixes the quantities of potatoes, onions, rice, wheat flour, sugar, pulses and eggs allocated for export to the Maldives without any restrictions. Last Wednesday, India reduced the quotas by nearly 100 percent “based on the average utilisation by the Maldives in the last three years,” government sources told The Wire. The sugar quota was cut 97 percent whilst the allocation of wheat flour was slashed 98.4 percent to 946.21 metric tonnes. With diplomatic ties under strain for months, the move sparked fears of inflation as former president Mohamed Nasheed warned of hikes in the price of potatoes and sugar. 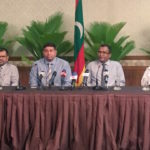 But STO managing director Ahmed Shaheer told the state broadcaster that the Maldivian economy will not be adversely affected. He did not anticipate any difficulty with imports and prices will remain unchanged as staple foodstuff is subsidised. 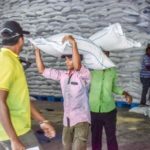 The bulk of rice, flour and sugar sold in the Maldives is imported by the state-owned wholesaler and sold at prices set by the economic ministry. India is not the only source for essential food imports, Shaheer noted. Last month, China was the top importing country to the Maldives with 19 percent of goods, followed by Singapore (17 percent) and the United Arab Emirates (14 percent). 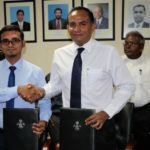 The bilateral agreement says India shall finalise the quotas “with due regard to the supply availability and the overall need of the Government of the Republic of Maldives”. In April, STO reduced prices of staple foodstuff to rates before a hike caused by an unpopular subsidy cut in 2016. 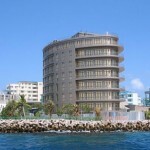 According to Shaheer, the government spends MVR850,000 (US$55,200) a day to subside the staple foods. In late 2016, it decided to target food subsidies to the poor in a bid to rein in a ballooning budget deficit.